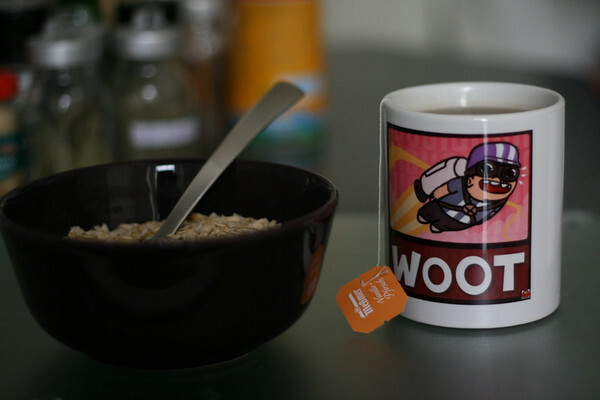 in the morning nothing is tastier than a bowl of oatmeal and a hot cup of peach flavored white tea. that is all. This entry was posted	on Thursday, October 18th, 2007 at 10:31	and is filed under food. You can follow any responses to this entry through the RSS 2.0 feed. You can leave a response, or trackback from your own site. This personal blog fabienne.us by Fabienne Serriere is licensed under a Creative Commons Attribution-Share Alike 3.0 Germany License.